A little creation made on the Novation Ultranova, Electron Octatrack, DSI Tempest, and Peavy PV14. This is a improvised piece for the most part. Hope you enjoy. Check out this Synth jam! This is a great little sampler and drum machine. One of the main qualities that drive me to hardware is the instant gratification. This groovebox allows you to modify sounds and record motion sequence. These feature allow you to mangle any sound into something completely different than your original sample. This gear is a bit older, therefore, the memory is limited and the naming convention necessary for samples can be a bit of a pain. Once you go through the tedious process of getting your samples in there it can be very rewarding. You can use slices, or one-shots. One way to compile your one-shot samples is to combine them all into one audio file. That way you can slice the audio and each slice can be a different drum part (bass, snare, high-hat). This sampler / drum machine is another keeper. It is simple, cheap, small, and provides a lot of variations to your sound. You never forget your first synthesizer. This is a great little 4 voice virtual analog synth. I wish I never sold it. It is capable of a lot of different sounds from thick basses, sharp leads, and classic drums. The drum samples are from the classic 808 and 909, which is great. It has some nice built in FX, sequencer, and is super compact. It accepts midi in so that you can control the module with a midi keyboard. It is very versatile and is very affordable. 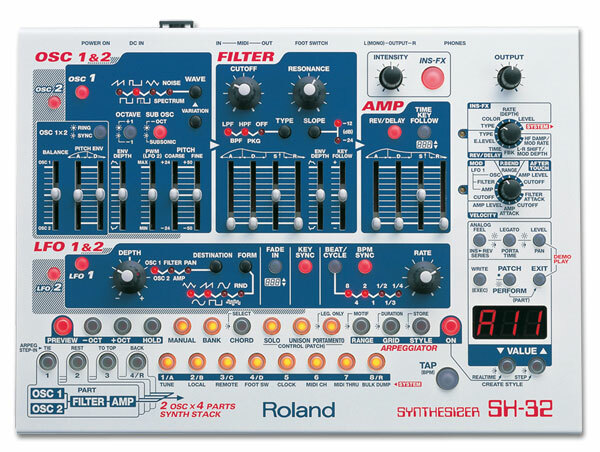 I would definitely suggest this as a great “starter” synth, but hold on to it there is a lot under the hood.